The RCMP integrated national security enforcement team has arrested 23-year-old Kevin Omar Mohamed fearing he was about to commit terrorism. 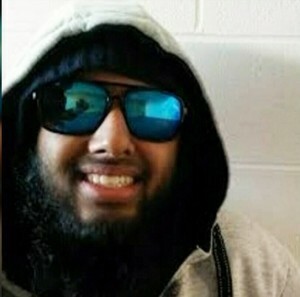 BRAMPTON—The day after he was arrested by RCMP anti-terrorism police, a 23-year-old appeared in court Saturday to face weapons charges and allegations he was preparing to leave Canada to engage in terrorism. Kevin Omar Mohamed was arrested by members of the Toronto-based Integrated National Security Enforcement Team as part of an ongoing counter-terrorism investigation called Project Swap, the RCMP said. Mohamed has been charged with possession of a dangerous weapon and carrying a concealed weapon — apparently a knife. Testifying in Brampton, Sgt. Adam MacIntosh told a provincial court judge the investigation was also probing five anti-terrorism offenses. While the former University of Waterloo engineering student has not yet been charged with terrorism, Sgt. MacIntosh said police have reasonable grounds to believe Mohamed would leave Canada to participate in terrorism, advocate or promote terrorism and facilitate terrorist activity. The RCMP is seeking a peace bond that would impose conditions on Mohamed’s conduct. Under Canada’s anti-terrorism law, police can ask the courts for peace bonds against those they suspect may be about to commit terrorism offences. Conditions can include staying off the Internet and surrendering passports. Peace bond cases must be approved by the Attorney General, who provided signed consent in this case. Mohammed was scheduled to return to court on Tuesday. “This arrest speaks to our ability to tackle a threat that is multifaceted and constantly evolving,” Superintendent Crouch said in a statement issued by the RCMP on Saturday afternoon. Defence lawyer Anser Farooq questioned why Mohamed was arrested on suspicion of terrorism but charged only with relatively minor weapons offences. “He’s okay, a little confused,” he said of his client. Prof. Amarnath Amarasingam, who has been studying Canadian foreign fighters, said Mohamed was “Guyanese by background” and that friends had described him as socially awkward. On social media, where he was known as Abu Jayyid, he wavered between supporting ISIL and opposing it, he said. CTV News reported that University of Waterloo terrorism expert Lorne Dawson says he has been monitoring Mohamed’s social media activities since early 2014. Dawson says Mohamed has shared a mix of “strong” and “strange” views since then, but recently, he showed a “dramatic shift” in his attitude. “He went from being pro-ISIS to being anti-ISIS,” Dawson told CTV News Channel on Saturday. Dawson says Mohamed recently started expressing “a lot of sympathy” for al Qaeda and affiliated groups, including Jabhat Al-Nusra, also known as the Al Nusra Front. Mohamed’s actions included quoting pro-jihadi, anti-ISIS theologians on Twitter, Dawson said. Dawson pointed out that Bill C-51 has made it easier for law enforcement to arrest individuals suspected of planning to travel abroad to participate in terrorism. Where law enforcement used to have to show the suspect was “likely” to leave for those reasons, now they only need to demonstrate that he “may” do it, Dawson said. Dawson says Mohamed goes by the online name AbuJayyid1, and is not considered a “big player” or “necessarily influential” in any terrorist movement. The University of Waterloo has confirmed that a student by the same name was enrolled in its engineering program in the spring of 2015, but did not graduate. The National Post said arrest came amid heightened security concerns following last Tuesday’s terrorist attacks in Belgium, which killed 31 and highlighted the problem of Western foreign fighters returning from Syria to wage violence against their home countries. But violent extremism is a growing problem in Canada. About 180 people “with a nexus to Canada” are active in overseas terrorism — including 100 in Syria and Iraq alone, according to the director of the Canadian Security Intelligence Service. Another 60 have returned to Canada after engaging in terrorist activity, while 90 to 100 have not left Canada but want to, Michel Coulombe testified during a March 7 appearance before the Senate Committee on National Security and Defence.